Bell’s palsy is a form of temporary facial paralysis resulting from damage or trauma to the facial nerves. Most Physicians are only aware of the use of steroids to treat this condition. In reality though, Osteopathic Cranial treatments can often improve or reverse the affects of this mysterious affliction. Over the years Dr. Steinecker has been able to bring relief to many individuals with dramatic results. Bell’s palsy is caused by a lesion of the facial nerve and results in unilateral paralysis or paresis of the face. The condition affects approximately 23 in 100,000 persons, with onset typically occurring between the ages of 10 and 40 years. 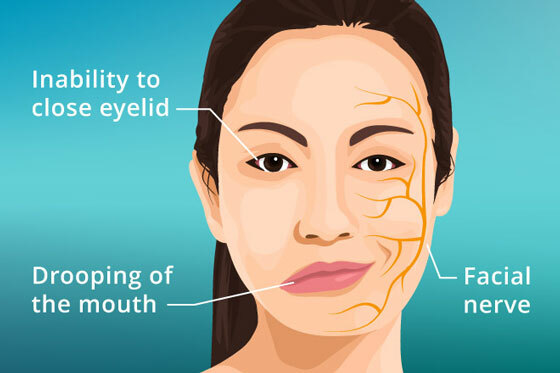 The authors report the case of a 26-year-old woman with Bell’s palsy, whom they treated with osteopathic manipulative treatment that was focused on the enhancement of lymphatic circulation. The osteopathic manipulative procedures used involved reducing restrictions around four key diaphragms (thoracic outlet, respiratory diaphragm, suboccipital diaphragm, cerebellar tentorium), as well as applying the thoracic pump, muscle energy, primary respiratory mechanism, and osteopathy in the cranial field. The authors, who were guided by the four principles of osteopathic philosophy, report that the patient’s symptoms resolved within 2 weeks, during which two sessions of osteopathic manipulative treatment, each lasting approximately 20 minutes, were held. Patient recovery occurred without the use of pharmaceuticals. Osteopathic manipulative treatment of a 26-year-old woman with Bell’s palsy | Request PDF. Available from: https://www.researchgate.net/publication/7065118_Osteopathic_manipulative_treatment_of_a_26-year-old_woman_with_Bell’s_palsy [accessed Feb 09 2018]. “Due to Bell’s Palsy, the mobility of my right face was impaired. I could not close my right eye but I could not take time off work though everyone I talked to said it will be take a long time to recover. Some said 6 months. I saw my family doctor who told me to take steroid and yet, it may not cure the problem. Then I sought acupuncture treatments but my symptoms got worse and worse after each treatment, in addition to the greed of the acupuncturist who already had a plan of maximizing all my allowable visits per year. I decided to learn more about the cause of my illness which was due to the infection of the cranial serve. So I searched for a doctor who is a neurologist and also practices cranial osteopathy. I found Dr. Steinecker.